Noticing wrinkles in your dress pants while you are getting ready for work can cause time issues if you are already running late. Ironing your pants is a commitment that does not allow you do do anything else. In other words, when you are ironing, you cannot do any other activity as ironing takes time and concentration. 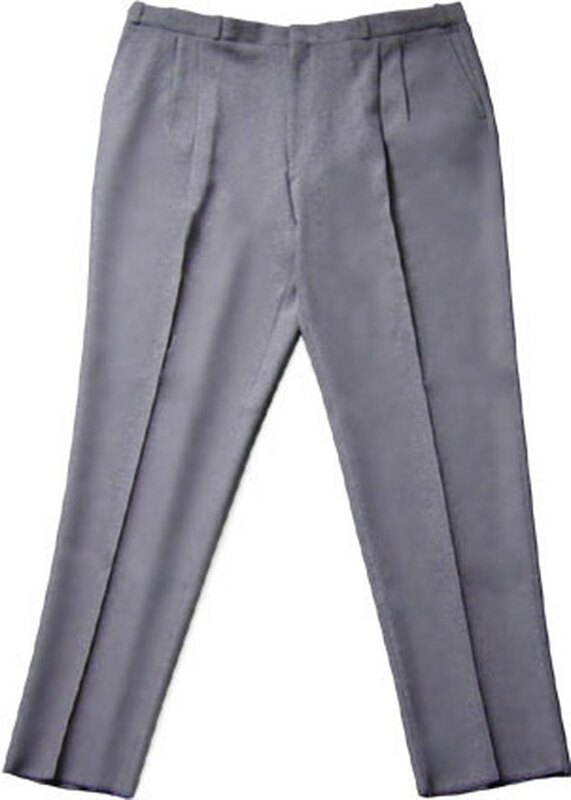 If you do not need your pants too look like they came straight from the dry cleaners, there is an easier solution to wrinkles. Lay your pants out over a flat surface in a similar fashion as the picture above. Fill a cup or any other container available with water. Place your hand in the water and remove your hand from the water. Lightly splash your pants with the water on your hand. Make sure that you are splashing your entire pants and not just the wrinkled areas. Do not overly wet your pants. You should probably only put your hand into water three times to splash your pants in order to avoid having your pants being too wet. Place your pants into your dryer for three to five minutes on high heat. Remove your pants once the cycle is done. The wrinkles in your pants should be gone. You can add a fabric softener to the dryer if you would also like to freshen the smell of your pants. If you wet your pants too much, you will have to leave them in the dryer for a longer period of time. This will defeat the purpose of trying to get the wrinkles out in a short amount of time. To avoid wrinkles in your pants or any dress clothes, hang them up immediately.